Crumbly soil,ready to be planted. With daytime temps hitting 60 degrees and an amazing stretch of sunny days, it was clearly time to plant in the bed that has been drying out for the past week. 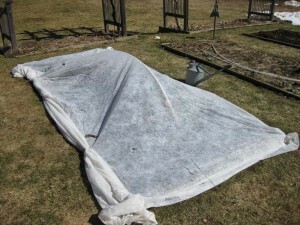 I simply removed the plastic,raked the beds and planted seeds,then covered the bed with a floating row cover. Unlike plastic covers or cold frames that require venting on sunny days and hand watering, row covers are permeable, allowing rain and air to penetrate, insulating plats when it’s cold and releasing heat when it gets hot. Early planting,as noted in previous posts is all about getting the ground thawed and the soil dried out. 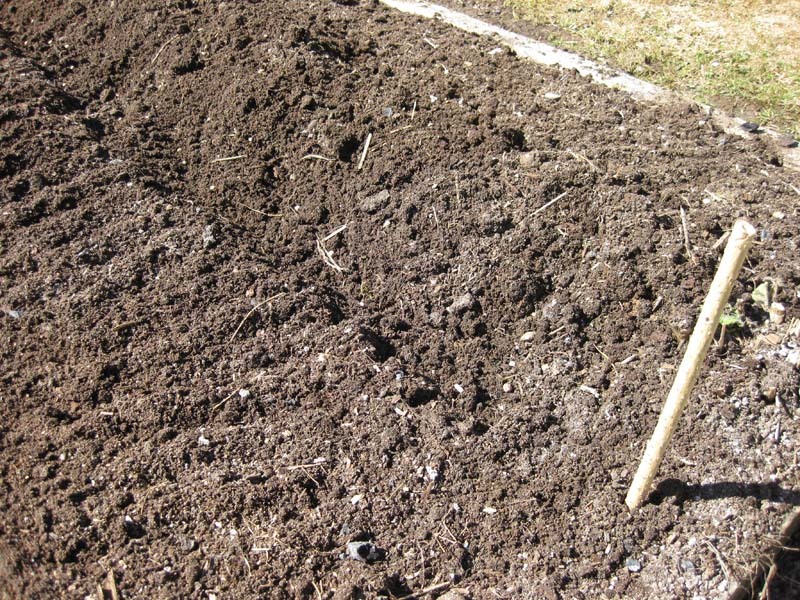 If you try to rake or till when the soil is wet,it will compact and plants won’t be happy. Soil is ready when it crumbles easily in your hand after squeezing and doesn’t make your hand wet. 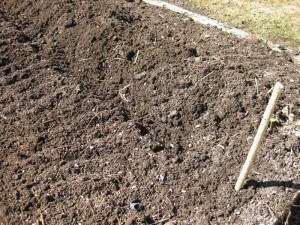 Note that the more organic matter in the soil,the more crumbly it will be. That means you’ll be able to work the soil earlier if you add compost in the fall. In my 4 x 12′bed,seeds were planted for a number of cold-hardy vegetables . Some will last until next winter like the multi-colored Bright Lights chard. Some will be consumed in the next month or two –radish,arugula,lettuce,spinach,and broccoli raab. 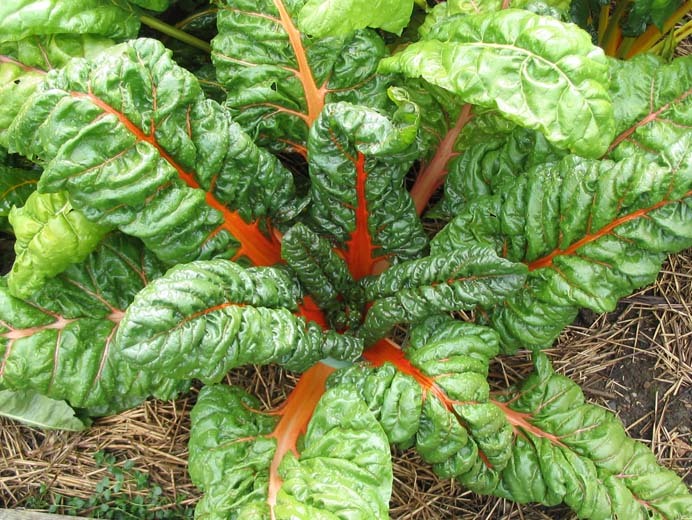 Others will be ready to harvest in June –snow peas, radicchio, nappa cabbage and bok choi. As each wave of vegetables is harvested,others will be planted to fill the space. Spun polyester row covers make season extending easy. I’ve learned to not to plant greens that are heat sensitive,like raab and chinese cabbage, in the hoop house at this time of year,since daytime temperatures on sunny days will stress them and cause them to bolt prematurely. That’s why I like to plant them early outside,where cold hardy plants can grow happily for the next few months in the cool temperatures they prefer.